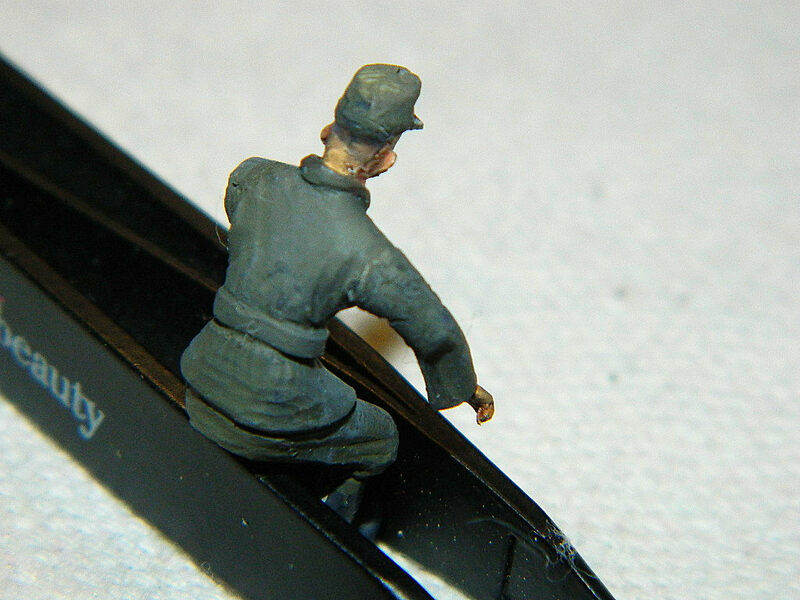 This set consists of one perfectly cast figure of a Kettenkraftrad driver. These vehicles were used on many German airfields later in the war to move smaller aircraft around the local flughafen. 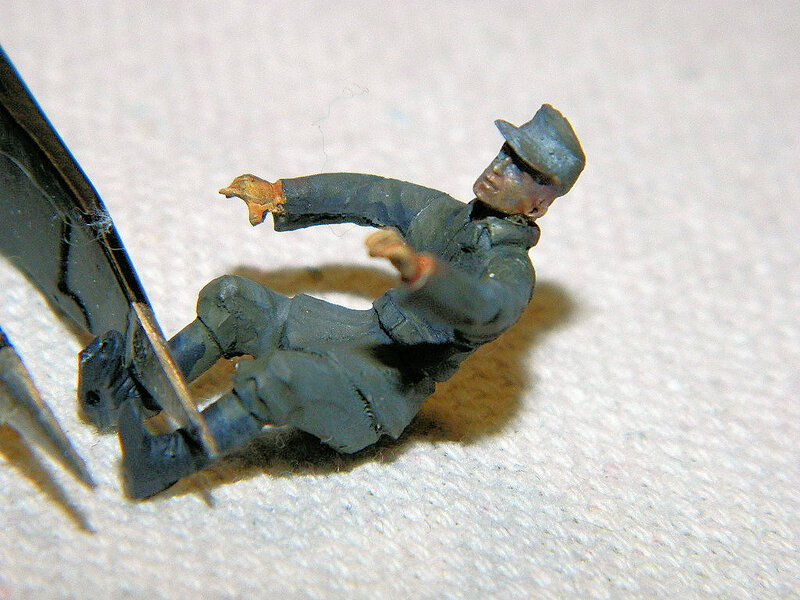 (One of these also served as a "Rabbit" decoy in the movie "Saving Private Ryan" in the last battle scene). 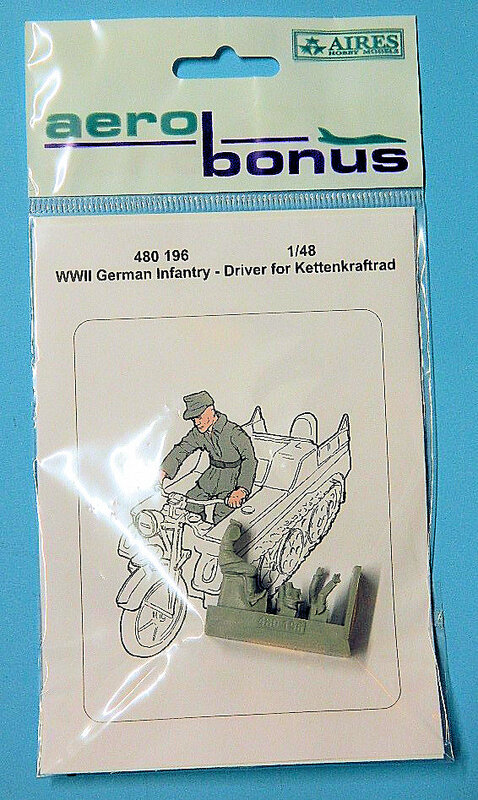 I have not invested in the Tamiya ME-262 kit with the Kettenrad, but this figure would be a good alternative to the kit driver, and obviously could be adapted to other uses.